Aluminum Diamond Tread Plate 6061-T6 - Strength, skid resistance, and durability are the critical. Although its mill finish is not as flashy as 3003 grade, Aluminum Diamond Tread Plate 6061-T6 is widely used for industrial applications. 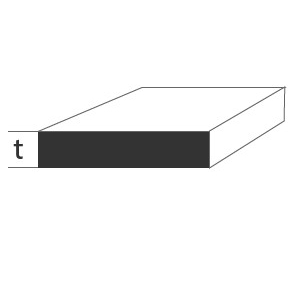 Offering increased strength and the highest corrosion resistance of all the aluminums that have been heat treated, Aluminum Diamond Tread Plate 6061-T6, is easy to weld and machine, but limited formability. 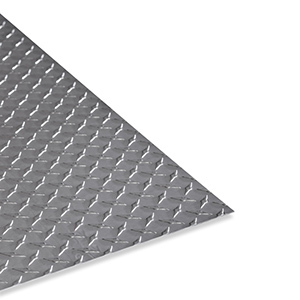 Application and uses of Aluminum Diamond Tread Plate 6061-T6 are: flooring, loading ramps, trench covers, dock flooring, stair treads, elevator floors, freezers floors, aerospace, fittings, valves, drive shafts, couplings, structural, signs, and marine applications. For more information please refer to our Aluminum Alloys Guide and Aluminum Tempers Guide.